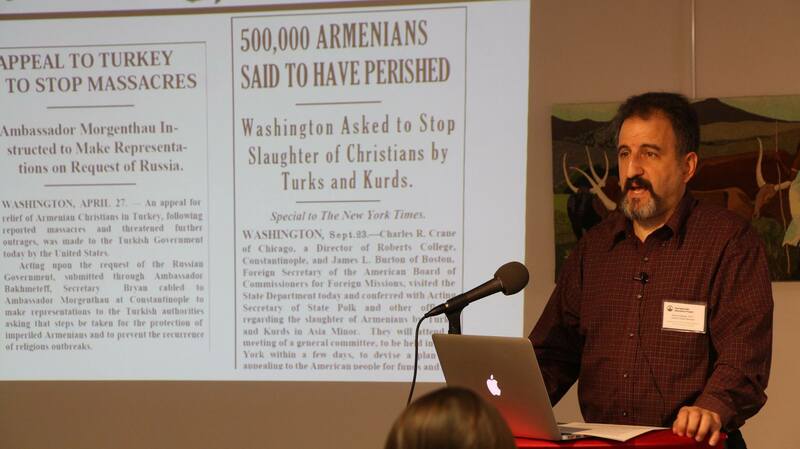 GenEd presented the full-day workshop “The Armenian Genocide­­ – 100 Years: Fundamentals of Teaching about the Prototype Genocide of the Modern Era through Primary Sources” for Boston-area social studies and English educators. 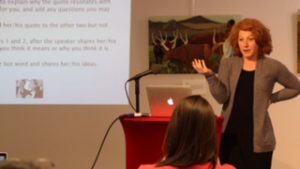 The workshop included various approaches to teaching the subject including use of oral histories, written memoirs, essays, and interactive projects. Held at theThe Armenian Library and Museum of America, the workshop was also co-hosted by Boston Public Schools, Watertown Public Schools, the National Association for Armenian Studies and Research, with the participation of the USC Shoah Foundation. 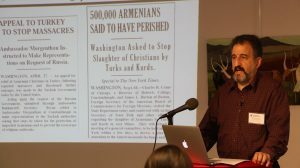 The workshop gave educators the tools they can use to meet the Massachusetts social science framework requirements on Armenian Genocide Education. Participants learned about the history of this landmark event and how it became the archetype for other incidents of genocide in the 20th and 21st centuries. Speakers included Sara Cohan, USC Shoah Foundation; Dikran Kaligian, Ph.D., GenEd Board of Directors; Marc Mamigonian, Director of Academic Affairs, NAASR; Gary Lind-Sinanian, Curator, Armenian Library and Museum of America; Ruth Thomasian, Executive Director, Project SAVE Armenian Photograph Archive; Pauline Getzoyan, GenEd Rhode Island; Roxanne Makasdjian, GenEd Board of Directors; Asdghig Alemian, Armenian Genocide survivor.